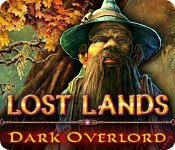 Put your trust in our Lost Lands: Dark Overlord Walkthrough, as you face down every mother's worst nightmare. Right before your eyes, your son, Jimmy, was taken from you, swallowed by a monstrous tree through a portal that leads to a new world. Now it's up to you and your new friends to track him down and put an end to the dark forces that have taken him in this exciting new hidden object adventure game! Oh... well... quite a lot you see, because well... he's a child. And children are curious. And when a tree talks to him and tells him to come closer, chances are, he's going to listen. Hell... if a tree talked to me, I might listen to it too. Anyhow... I'm going to leave it at that because I know Melissa went on about it in her review of Lost Lands: Dark Overlord. My purpose for writing now is to let you know that despite the mother's obvious attention issues, we're still going to help you save little Jimmy. It's not his fault his mother can't be bothered to pay attention to him. 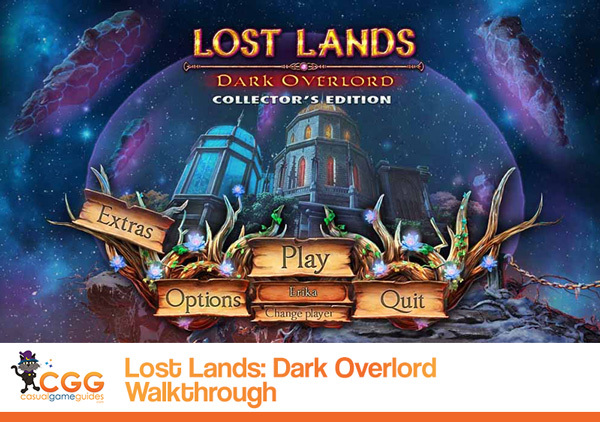 So here you are... a Lost Lands: Dark Overlord Walkthrough all ready and waiting to help you reunite Jimmy with his mother. We can only hope that Jimmy's mother has learned her lesson or all these beautiful custom marked screenshots and detailed step-by-step instructions on how to get Jimmy back will be for nothing! We've even included easy peasy instructions on how to solve all the mini-games and puzzles you'll encounter as you play so poor Jimmy can get back home as quickly as possible and start some serious therapy. So don't worry, our Lost Lands: Dark Overlord Walkthrough will be much more reliable than Jimmy's mom when it comes to rescuing the poor kid. Enjoy!